Istoria Ministries Blog: Did God Command Joshua to Kill the Canaanites? Did God Command Joshua to Kill the Canaanites? Richard Dawkins is a well-known atheist from England. Twenty years ago he said, "I think a case can be made that faith is one of the world's great evils, comparable to the smallpox virus but harder to eradicate." "The God of the Old Testament is arguably the most unpleasant character in all fiction: jealous and proud of it; a petty, unjust, unforgiving control-freak; a vindictive, bloodthirsty, ethnic cleanser; a misogynistic, homophobic, racist, infanticidal, genocidal, filicidal, pesilential, megalomaniacal, sadomasochistic, capriciously malevolent bully." "The Old Testament God is a fictional psychopath who delights in hurting, torturing and killing people." No wonder Richard Dawkins is an atheist. If I believed that's how the Bible reveals God, I'd be an atheist too. Dawkins and other atheists like to ask the question: "How could a loving God tell Joshua and the Israelites to kill the Canaanites?" Sadly, even some modern Christian evangelicals ask similar questions. To many people, the revelation of God's character in the Old Testament is unpalatable, unlikeable, and ultimately unbelievable, not to mention inconsistent with the revelation of Jesus' character in the New Testament. I want to show you in this post why anyone who says the God of the Old Testament is not a God of love is flat out wrong. The Bible tells us God is love (I John 4:8). God doesn't have love; He is love. God is also immutable (Malachi 3:6). He doesn't change. God is love during the past Old Testament days, these present New Covenant days, and during any future ages that may come. 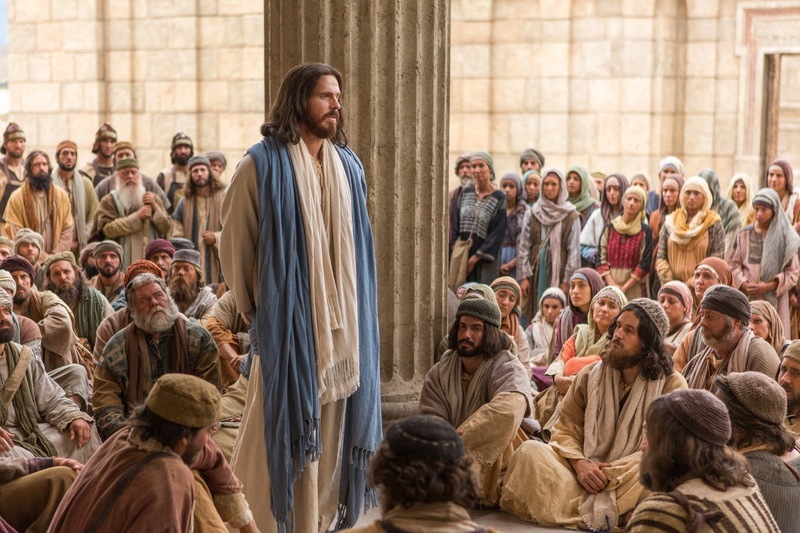 Everyone delights in reading about the ethics and love of Jesus in the New Testament. But many forget that "in Jesus, all the fulness of the Godhead bodily dwelt" (Colossians 2:9). When you look at Jesus, you're beholding the invisible and immortal God (John 14:9). "If you've seen Me," Jesus said, "you've seen the Father." God is the invisible, immortal, and transcendent Creator. That means you'd never see or comprehend God, except when God "condescends" to our level of understanding. This condescension of God is what theologians call The Incarnation. Chili-con-carne is "chili with meat." The Incarnation is the invisible, immortal and transcendent God "putting on meat" or flesh. God came as a Man. 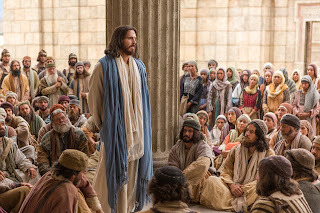 When Jesus angrily destroyed the money tables of the businessmen who were robbing the poor in His house (the Temple), it was a loving act of God's judgment (see Mark 11:11-19). When Jesus damned a fig tree that was not bearing fruit so that it immediately died, it was a loving act of God's judgment (Matthew 21:18-22). Fig trees are designed by God to bear figs. God will destroy something when the destruction produces something better, like a better world. That old barn you tore down, why did you destroy it? Answer: To put something better in its place. When you took your dog to the vet, why did you make the difficult decision to "put the dog down"? Because your dog was cancer-ridden. The context of an act of destruction is everything. The wicked are destroyed in fulfillment of God's righteous determination to destroy evil. God displays His love for those He created in His image by "waiting" for their repentance of sin. But if repentance is not forthcoming, God destroys the unrepentant as a loving act on behalf of His Creation. This is what happened at the Flood. Noah proclaimed for decades that God's judgment of destruction was imminent because of the rampant wickedness throughout the world. But the people did not believe Noah. So the wicked eventually perished in Noah's day, even though they'd been warned of God's judgment (II Peter 2:5). 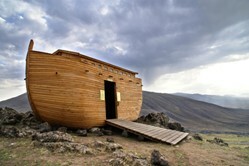 Interestingly, God left the door of the Ark open seven days with Noah's family already inside. One can't help but think that anyone who repented of their sins and stepped into the Ark would have been saved from the coming destruction (see Genesis 7:1-4). But nobody stepped through that door. Jesus said, "I am the door; whoever enters in by me shall be saved" (John 10:9). Just as in the days of Noah when God showed patience, mercy, and love to the wicked people of the world, God displayed love, grace, and mercy to the Canaanite people in Joshua's day before He ultimately destroyed them because of their wickedness and unrepentance. It cannot be said enough that when God commanded Joshua and the Israelites to destroy the Canaanites it had nothing to do with race, religion, or land. God's command to destroy the Canaanites had everything to do with the wickedness of the Canaanites. The Canaanites were descendants of Noah’s grandson Canaan. The term "Canaanites" is used broadly in Scripture to refer to all the inhabitants of the land of Canaan, including the Hivites, Girgashites, Jebusites, Amorites, Hittites, and Perizzites (see Judges 1:9–10). The biblical representation of Canaanite activities is always negative. Whether it was their rampant sexual immorality in the worship of their fertility god Dagon, or their practice of sacrificing their children in burnt offerings to their god Baal or their sun god Chemosh, or their deep and abiding evil behaviors toward others who lived around them, the Canaanite people deserved to be destroyed for the world to be a better place. God waited for 400 years for the Canaanites to repent of their sins. The Canaanites knew the truth. They descended from Noah, the preacher of righteousness. They had heard with their own ears of God and His power. But they rejected God. They loved their sins and rejected the loving Creator who called them to leave their sins (Joshua 5:1). Again, God waited for the Canaanites to repent. For centuries, God waited. When God called Abraham as His own and promised him the land of Canaan, God told Abraham he and his descendants would have to wait to take possession of the land of Canaan "because the sin of the Canaanites is not yet complete" (Genesis 15:6). Destruction was coming to the Canaanites like destruction came to the wicked in the days of Noah, but God waited... and He waited. "God takes no pleasure in the death of the wicked" (Ezekiel 33:11) declares the Old Testament Scriptures. But just as a judge without any pleasure sentences a criminal to capital punishment in our day, so the Judge of the Universe decided to destroy the Canaanites in Joshua's day. The time had come for the Canaanites to experience the natural consequences for their unrepentant sins. The time had come for God to destroy the Canaanites. Again, sometimes the most loving thing God can do is to destroy the wicked. God used the army of Israel to implement the just sentence of Canaanite destruction. Joshua was the instrument of destruction for the Canaanites, but God was the Author of the just sentence of destruction for the Canaanites. “I brought you into the land of the Canaanites…and the Canaanites fought with you; and I gave them into your hand, and you took possession of their land when I destroyed them before you” (Joshua 24:8). There are some Christians who struggle with the portrayal of God in the Old Testament as it relates to the ethics and love of Jesus in the New Testament. But Jesus tells us exactly the same thing about the final end of the wicked that God told Joshua about the final end of the Canaanites. What will happen to the wicked at the end of days is exactly what happened to the Canaanites in Joshua's day. Those are the loving words of Jesus. Again, those are the loving words of Jesus. This judgment of the wicked in the resurrection is very similar to the judgment of God in the land of Canaan. There is no pleasure in the destruction of the wicked, but for the love of His world, God will destroy the unrepentant sinner. One day the wicked will be raised from the dead to give a detailed account of their sins to Christ. This should terrify the wicked (2 Corinthians 5:11), but just as in the days of Noah and in the days of Joshua, the idea of coming judgment is something to scoff, not something to ponder. Christ will judge the resurrected wicked for their sins and ultimately sentence each of them to die what the Bible calls "the second death" (Revelation 20:12-15). The unrepentant at the Judgment will perish with "everlasting destruction" (II Thessalonians 1:9). The Apostle Paul calls it everlasting destruction because there will be no reversal of it through resurrection, as was true of the destruction at the first death. It is to save sinners from this the punishment of eternal destruction that God in His great love sent His Son. "For God so loved this world, that He gave us His only Son, that whoever believes in Him will not perish, but have life throughout the ages to come" (John 3:16). And it is through the repentance of our sins and faith in Person and work of Jesus Christ that we are given by God the priceless gift of immortal life (I Corinthians 15:53-55). But the unrepentant wicked who die without faith in God's grace through His Son will not be recipients of this stunning gift of immortal life throughout the ages to come. They've never repented of their sins and they've never opened their hearts, minds, and lives to the Lordship of Jesus Christ. "For behold, the day is coming, burning like a furnace; and all the arrogant and every evildoer will be chaff; and the day that is coming will set them ablaze,” says the Lord of hosts, “so that it will leave them neither root nor branch. But for you who fear My name, the sun of righteousness will rise with healing in its wings; and you will go forth and skip about like calves from the stall. You will tread down the wicked, for they will be ashes under the soles of your feet on the day which I am preparing,” says the Lord of hosts" (Malachi 4:1-3). I'm not sure why Christians have a problem with the Bible saying God commanded the destruction of the Canaanites in Joshua's day. Jesus says the same destruction will occur to all the resurrected wicked on Judgment Day. “Your sins and their lawless deeds I will remember no more.” Hebrews 10:17. In a reaction to the unbiblical teaching that God eternally torments the wicked rather than destroys them, some Christians have taken to the false teaching of universal salvation. Some of these hopeful universalists are friends of mine. I've written about Paul Young's hopeful universalism. I've written about C.S. Lewis and George McDonald and their vivid writings on the same subject. Now comes an entirely new crop of intelligent evangelicals who write with the belief that God will ultimately save everyone to enjoy His love for the ages to come. These modern evangelicals love Jesus. But some, like Pastor Brian Zahnd who recently wrote Sinners in the Hands of a Loving God: The Scandalous Truth of the Very Good News, seem to embrace their idealized philosophies more than they do the inspired Scriptures. Pastor Zahn writes that "the depictions of God in the OT" should be subordinate to the "revelation of God seen in Jesus." 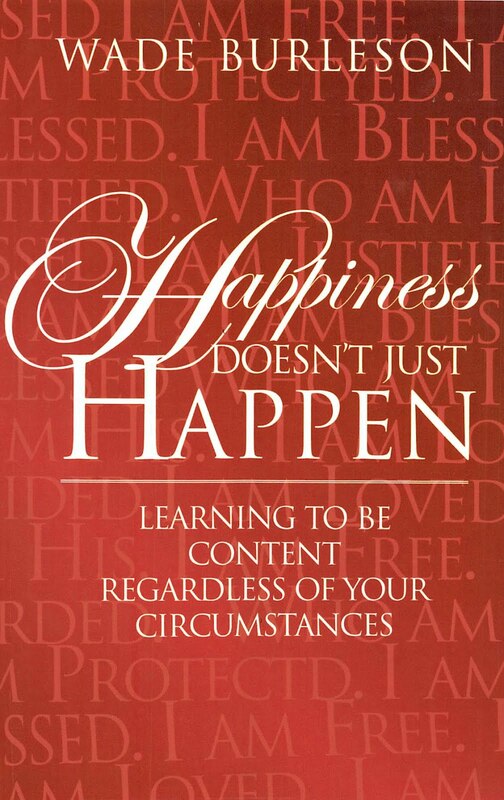 That's the Pastor's philosophy that drives the theme of his book. Pastor Zahn believes that God’s wrath in the Old Testament is but a mere metaphor and does not really point to a real and tangible anger from God toward sinners. The Old Testament, Pastor Zahn writes, presents God as capricious, malevolent, and vengeful, say these modern evangelicals, a very similar view to that of atheist Richard Dawkins. While appreciating my hopeful universalist friends who long to exalt the love of God to the world, I can't accept their philosophy that the God of the Old Testament is not the Jesus of the New Testament. I believe the reason Pastor Zahn and others fight the philosophical battle of pitting wrath against love and the Old Testament God against the New Testament Jesus is because they've never questioned their acceptance of the false and prevalent non-biblical teaching that the wicked are inherently immortal and live forever. Christian universalists believe (contrary to the clear teaching of the Bible) that the wicked can never not exist. Because of this, they choose to believe God will one day deliver the unrepentant wicked from their torments by convincing them at some point during the eternal ages of His unconditional love. Hopeful universal salvation is much more palatable to these philosophical evangelicals than the false teaching that the wicked will be tormented by God forever and ever for their sins. The Bible does nowhere portray the wicked as living forever. The wicked perish (Psalm 37:20). 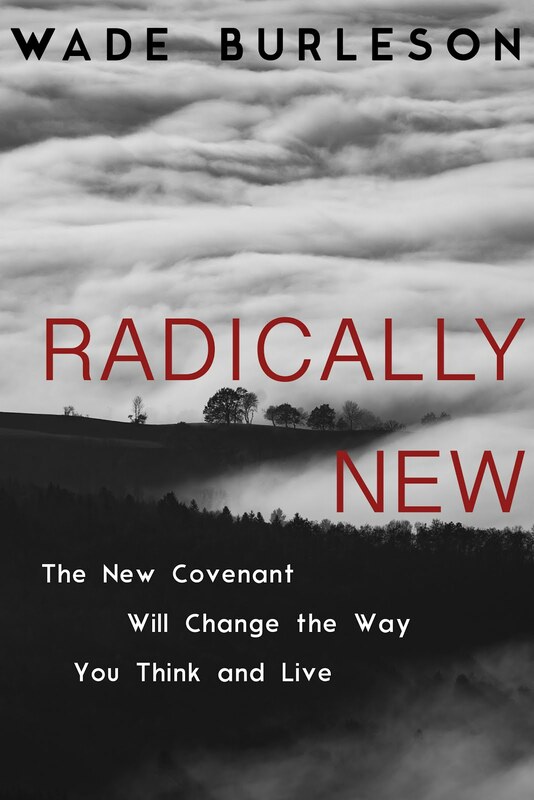 Pastor Zahn and other evangelicals have reacted to the ancient and false Greek philosophy of inherent immortality by adopting a modern western philosophy that God's love will ultimately rescue everyone, even those who die in a state of unrepentance. This universalism flatly contradicts the clear teachings of Scripture that the wicked will be eternally destroyed. Pastor Zahn's book does not grapple with the specific biblical texts that state God destroys the wicked (like Psalm 94:23) because, in Pastor Zahn's mind, the wicked are immortal and can't be destroyed. Though I admire the passion to exalt God's love among my Christian universalist friends, I cannot accept their philosophy. I too have a passion to exalt the love of God and salvation in Jesus Christ, but my foundation of truth is in the Bible, and not philosophy. The Bible teaches me that the wicked will perish. But a loving God has sent us His Son, so that sinners like me, by faith in Christ and repentance of sins, might live forever! (Romans 1:17). So, "Did God command Joshua to kill the Canaanites?" And their destruction is a picture of the Day of Judgment when those resurrected from the dead by the power of Christ will give an account for their sins and afterward experience the same destruction of death, but this time for eternity (2 Thessalonians 1:9). I once had someone say to me, "everlasting destruction" is "a cup of hope" compared to everlasting and eternal torment. "Any man who calls everlasting destruction a cup of hope is unfamiliar with the rich blessings of eternal life." May we always be people who see "the glory of God" in the face of Jesus Christ, who passionately exalt the love of God by sharing the gospel of grace to a fallen world, and who adhere to the inspired and infallible Word of God rather than the errant and misleading philosophies of men. An interesting post, on so many levels. I wonder from what point of view they read the Bible, then ? Why would I think that? Well, in the early Church people also struggled with whether to take 'the Ban' (the 'cherem') literally or to see it in an allegorical sense. For some, the God of the OT seemed so destructive and different from the revelation of God by Jesus Christ, that these people decided to forget the OT and only use the New Testament. But the whole Church did not accept this idea, no. Instead, it came up that the whole Bible must be read as a 'unit' through the perspective of Our Lord. I think it is 'okay' to read the Bible as a 'whole' and to examine its complexities through the lens of Jesus Christ . . .
after all, He Himself IS 'the Word', the Logos, Who spoke all into being and sustains creation in existence . . . . 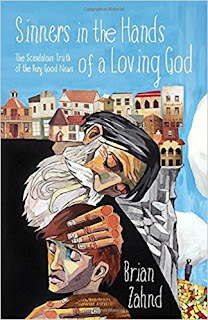 He alone can give meaning to the 'scroll', not Richard Dawkins, or the Marcionites, or the people who demand to only see the Scriptures in a literal sense . . . The story of God commanding a soldier to take a sword to a child is pretty gross - Moses and the Midianites in Numbers 31:17-18 and so many more.... And let's assume that many pregnant mothers and children would have been among the drowned in the Noah story. I guess they were guilty from their parents and grandparents, huh? The idea that God is so limited that he has to hurt, maim and kill his own creation in order to make things better.....well, that's a pretty bold stretch to desperately cling to the Bible as a prescritively "moral" document. If this is true, then I don't think there is anything that God could potentially do that could be called evil. But because things are right simply because God does them, according to this divine command theory, then there is nothing we can call "good" that God does either. God is not good or evil according to our consciences or any natural law, but rather God is just powerful. In other words, this is the worship of power. Not goodness. "God is love" becomes a meaningless bunch of syllables here. Nobody cares if "God is love" if "love" is what kills your children. The Old Testament God is pretty much a monster. He embodies most things we all consider wrong through our reason and moral intuitions - jealousy, rage, murder, obsession with purity (despite having created the impurities), loving war and conquest. Dawkins is right. If we just said "Thor" or "Allah" or "Baal" instead of "Yahweh", I think you might agree. If we imply Occam's Razor here, we see that this OT God sounds a lot more like man than anything divine. The Israelites wrote a lot of stories about their history - some are inspiring, some are pretty horrible. Sounds pretty human to me. "apply Occam's Razor" - sorry! I agree 100% God will NOT take everyone to heaven. The devil will be glad if you’re right and there is no hell; but there’s the parable of the “Rich man and Lazarus”. Wade would you agree when the “fire from heaven consumed them” they died; were destroyed (first death)? Then their second death lasted “forever and ever? What about this? In the above Scripture, God’s people were surrounded. Ten people cannot surround a thousand people, but a thousand people can surround ten people. Right? The King James Bible mentions hell 54 times, but nowhere does it say the people there do not remain there. You sound like the man angry at God on the sinking ship Titanic. I feel sorry for you. You criticize God for killing unborn babies. Would you not kill a pregnant skunk that was killing your chickens? God knew those unborn babies would grow up to be like their parents. Pointed (and accurate) observation of the Canaanite children. The verse about “fear” in the Canaanites is only to show that they “heard” the truth of God, but did not believe. Always appreciate your insight and comments. Either Jesus and Paul were misled and Jesus is not the God of “Abraham, Isaac and Jacob,” or there is the possibility that what I’ve written has merit in the fact that the God of the Old Testament and Jesus of the New Testament are on in the same. I’d like your thoughts. Just an observation: I’m not sure you addressed what I wrote as much as parroted what Dawkins says. I’d love for you to address the content of my post. Blessings, Steven - always appreciate your ministry in the OKC area to students and their parents. Your orchestral piece played by the school was amazing! 1. If election is unilateral and grace is irresistible, God could choose to call all. Some young, some during life, some at death. And those He calls will respond positively. I'll look and see if that is tenable. 2. Or it could be as you say. 3. Or it could be we need to rethink a purgatorial experience that would result in all coming to faith in a more Arminian way. 4. And maybe I'll never know. Maybe there is the very real threat of perishing, God alone knows how many He will call and save and when. Maybe all, maybe most, maybe some, maybe a few. I will say this post COULD allow for a reading of the universalist passages in a way that has God patiently waiting, giving time for more to respond and yet for the final destruction when they don't. As I mentioned, many of my friends are “hopeful universalists” so if you felt anything other than appreciation for them and/or their views (not to mention yours) in my post, I apologize. I believe deeply in the inspired and infallible Word of God. I get my marching orders from the Word. Could I be mistaken in how I read and interpret God’s Word? But until someone shows me how and where, I stick to what I see God reveals, regardless of how it makes another person feels. I can’t be a hopeful universalist because I see the Scripture to clearly teach the wicked will perish. The gospel is so powerful to me because of the promise of immortal (eternal) life through Jesus Christ. I appreciate your insight and comments. I believe in God’s grace in the person and work of Jesus Christ, and the effectual calling of the Holy Spirit. Thanks! NO,I felt no insult. Just the common assumption there is no scriptural warrant to hope all may be saved or all will be saved. We have enough verses to be clear God desires the repentance and salvation of all to be a hopeful universalist on Biblical grounds. As well as to see the destruction of the wicked. And even perhaps enough to understand the conceivable possibility of some sort of purgatorial experience in either this life or the next. I'm puzzling through trying to put them together. Right now I am content to say that if God chooses, as in the parable of the workers, to call and reward all finally I won't be fussing at Him as being unfair. And I sure hope He does so! Who wouldn't? That is, if you understand they too must be sanctified, not just justified. That is, they get changed from wicked into not wicked. The only way I can get my head around Arminianism for long is if prevenient grace is very close to irresistible grace, or if there is a purgatorial experience. And the only Calvinism that makes sense to me isn't full on TULIP, maybe more "Christmas" or NOEL Calvinism. Now couple the latter with perishing instead of hell and it begins to make more sense. I'm sorry you are reading my comments as a parroting of Dawkins. I'm trying to show that by associating Yahweh's brutal actions with "love" in such a forced way, that you are divorcing all meaning from the word "love". "Love" could kill or torture anyone at any time simply by saying that it is just, and those endorsing a divine command theory of morality would find no fault. 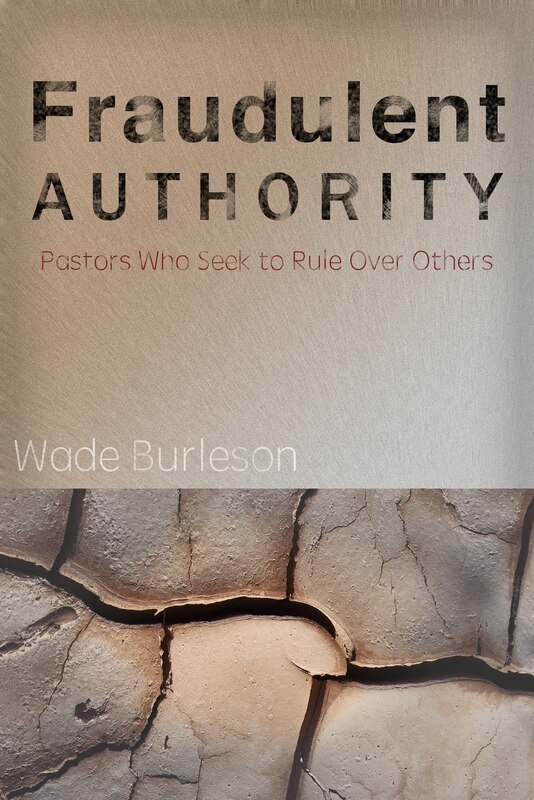 Wade, is there anything the OT God could be reported as having done that would cause you to question His morality? I realize that your concern is with equating Jesus with the God of the OT - to try to find a harmonization. The problem is that the Bible is extremely inconsistent in many ways , in its depiction of the nature of God - jealous and petty or moral and just - and even in what leads to salvation - "Faith in Jesus" according to Paul or "taking care of the least of these" according to Jesus. I think that's why the Bible has had such lasting power. You can find whatever you are looking for in it! Theology is all a great act of imagination by humans - and I think it reveals a lot about what we prioritize. The Marcionites saw the disparity between many of Jesus' statements and reported actions and the OT God. I mean, just read the second creation story in Genesis. Yahweh is clearly the bad guy. The serpent is the one that tells the truth. Yahweh is too busy being afraid of humans having discovered carnal knowledge. He's afraid they'll take over by eating from the tree of life. So the Marcionites saw what a terrible character the OT God was and labeled him the demiurge, the evil creator God. And Jesus was the son of the true God who sent his son as a ransom for humanity. And many of them saw the serpent as an OT appearance by Christ! Crazy, huh? or maybe not. Anyway, the early Christians were in two sects, I believe. The religion of Paul, with its mythical "Christ" and the followers of Jesus somehow merged their two religions into one. THat's what many of the statements in the NT are trying to solidify. The whole book of Acts is the same, as the writer tries to portray Peter and Paul in the same way to unite the two religions into a consistent whole. Boys have to brush their teeth first, haha. I will add quickly that I agree with your friends, and with Macdonald and Origen and others, that universalism is the only way to truly harmonize the love of God with the purported actions in the OT. But I don't really believe that Bible is a consistent document. But if I did, the only way is universalism...that all will be justified by the end result of universal reconciliation. Otherwise, God is not moral. Sadly you see Genesis 15:16 as being a part of the Genesis 15:13-14 prophecy which is consistent with many other scholars and writers who link the two prophecies together. Genesis 15:13-14 speaks of God's involvement in bringing Israel out of a land in which they were being oppressed in, while in Genesis 15:16, there is no involvement of God in Abraham's descendants returning to the land in the fourth generation/age of the existence of the nation of Israel which began with the birth of Isaac. In Genesis 15:13-16 there are 3 distinct prophecies; 1 concerning Israel's removal from Egypt by God and their coming out with great processions, 2 concerning Abraham's life and his dying in peace, and the last prophecy which concerns the return to the land of Canaan in their own strength and the completion of the iniquity of the Amorite people at that time. The only fulfilment of Genesis 15:16 occurred in 1948 AD, around 4,000 years after the birth of Isaac. Now if you hold to the view that all of prophecy was fulfilled around the time of Christ's first advent, then the above understanding of Genesis 15:16 will not comply with that view. The bible clearly indicates that in the last days, Israel will come and seek the Lord, but they have to be broken still to seek His terms of redemption and not expect that it will be on their terms or understanding. God wants Salvation for all who respond to His knocking at the door of their lives. The covenant is very old and Christ refurbished it when He died on the cross. The Nation of Israel will be used by God to teach about the Kingdom of God during the last days before the time of Judgement. God's Salvation Covenant for all of Mankind has absolutely nothing to do with the Covenant with Israel that God entered into with the nation of Israel at Mt Sinai which is a Covenant of a Kingdom of Priests and a Holy Nation. This is the covenant that God will renew with Israel soon and He will teach them how to be His priests and a holy nation during the last days. And once they sort this out, what they determine concerning Him will greatly affect in what light they encounter ALL of sacred Scripture. I wish you would tell what translation you use. The NLT has nothing about a door in those verses. The Lord then said to Noah, “Go into the ark, you and your whole family, because I have found you righteous in this generation. 2 Take with you seven pairs of every kind of clean animal, a male and its mate, and one pair of every kind of unclean animal, a male and its mate, 3 and also seven pairs of every kind of bird, male and female, to keep their various kinds alive throughout the earth. 4 Seven days from now I will send rain on the earth. My assumption is the door is open for seven days because for seven days the rain did not come and the family was in the ark. For those seven days - even were the door shut - they could have knocked and would have been let in. (Revelation 3:20). Linda, I enjoyed your comments. I don't share your religious beliefs, but it's clear when there is a mind and heart concerned with right and wrong. As you say, why would anyone hope for someone to perish or be miserable for eternity? Isn't it moral to hope for rehabilitation instead? And yes, of course that could require punishment, but moral punishment has a goal - it's not revenge for revenge's sake. Moral punishment is seeking to make the world better. Calvinists believe that God can accomplish whatever He wants to accomplish. Armenians believe that God desires the salvation of all his creation. Universalism is the combination of the two - that God desires the salvation of all his creation and has the means to accomplish it. The Scriptures have verses that are clearly pro-universalism and scriptures that seem to be otherwise. As Wade says, the Scriptures seems to say the wicked will perish (the sheep and the goats for instance). Yet they also say that God justifies all (Romans 5, Romans 11.......I would suggest the Romans 9-11 only makes sense at all through a universalist lens), not all kinds of people, but all period. Some universalists believe that the sinful nature in us dies (the wicked will perish), but all that is truly good in us lives on. In others words - Saul dies and Paul lives on. That is one way that universalists resolve the seeming inconsistency in Scripture, while utilizing their minds and hearts to seek what makes sense and what is moral. The wicked in each person will perish, but the redeemed good in each person lives on. I am not really a Christian anymore - more of a UU agnostic - but I find the universalist arguments very interesting. may softly come unto me your mercy. for You have created me . . . "
but I see in this gentle prayer more trust in God than is found today among many Christians to, those 'saved' themselves, despair for others they think are lost. . . If we assume for a moment that God is always "right" in what He does ... which He is, of course ... but if we really appropriate that truth, then we must concede that the people killed at God's instruction ... deserved to die in their sin. Which would point out irrefutably that we, too, deserved to die for ours, but for the grace of God and His pointing us to Jesus. Perhaps that's a reason many don't want to accept the truths you point out here. They don't want to admit that, save faith in Jesus and God's grace, we, too, deserve to die. In His renewing all of Creation, Our crucified Lord has won a great victory for us over evil, and we know that ALL evil will be destroyed so completely by God that even death itself will die. I believe that the writings in the OT concerning 'the Ban' may be examined in the light of Christ crucified and resurrected . . . . and I actually believe that is the ONLY valid way that Christian people can reconcile the stories of the complete destruction of all evil by God with the gentle Lord Who spoke so lovingly of little ones. For those who hold to a strict literal interpretation of the Ban in the OT, it is not possible to see God as Christ reveals Him, no. But if the writings celebrate the complete and total destruction of all evil by God, then looking towards Calvary, we can see how it is that this was taken on by God Himself in the Person of Jesus Christ, the second Person of the Holy Trinity. Having taken our humanity to Himself in the mystery of the Incarnation, Our Lord's death WAS the victory over evil, and His resurrection speaks to us of the renewal of His Creation in Him and through Him. Look at the Ban through the image of the crucified Christ, and there . . . on the Cross, you see the God's victory over ALL evil and sin, past, present, future. It was HIS death instead of the destruction of His created beings that COMPLETELY takes away the power of evil, sin and death could not hold Him. So He is the One who dies for us. Because of love, for we are His creatures and we needed Him to have mercy on us. The gentle Lord Christ is not contradicted by the OT God of 'the Ban' because the gentle Lamb of God Himself IS the agent of 'the Ban' on evil, sin, and death for the sake of all of His creatures, for all time if they reach their hands out to Him to save them. It's not a 'literal' viewpoint of the Ban, but I think there is something in my explanation that evangelical people can relate to if they focus on Christ Crucified. I am saddened every time I read of people seeing the God of the O.T. as different to God in the N.T., especially at this time of the year when we are considering the incarnation, God taking on the form of human flesh in the person of Jesus Christ. Importantly the O.T. inhabitants of the earth were the same in nature as those of today, ignorantly intent on being their own sovereign. Even more so when the O.T. is not understood to be about the promise of that very amazing event, and the reason why, as Bob and Christiane have both indicated. Many years ago three of us that worked at General Dynamics decided to enter a ‘alligator gar spearing contest’ at some ‘large swamp lake’ in Louisiana about two hundred miles away. Each of us checked out scuba gear and three tanks of air. We decided the dam (miles away) would have the largest fish. The channel was deep, but outside the channel was shallow and trees had rotted and broken off even with the water. I kept the ‘tricky’ motor running and the guy steering had left his glasses in the car. Needless to say he removed some of the rotten trees, but they had their revenge. I bailed water as fast as I could with a quart can. I knew we were in trouble when the gas tank started floating. We thought we saw land a long way off, but it turned out to be a lot of dead trees that hadn’t rotted. The limbs were low and knocked one guy overboard. He grabbed the side and climbed back in along with a wall of water. After that the boat became a seesaw. When the rear went under, we rushed to the front. When it went under we went to the rear. We did that until the boat sunk in ten foot of water. Why we didn’t get out of the boat and keep it from sinking I’ll never know. It was like we were scared of the water. The motor was going full throttle when we went under. We had wet suits that made us float, and one guy had his scuba gear on. He retrieved everything and took the motor off and the boat floated. It took the Good Samaritan three trips to get all we had to the bank that was a mile away. We were close enough to walk to my car. Thanks; you are a true sweetheart. Here's a new twist I was reading somewhere on the net the other day: It was God's mercy, not His judgment, that would not leave Adam and Eve in the garden to eat from the tree of life and live forever in sin. And in the same way, it could have been His mercy that ordered the slaughter of those completely given up to sin. He did not let them continue to live in that state. The person I was reading referred to himself as a true Calvinist, full five points. But he was content to leave the extent of the atonement to be known only to God, with the idea IF the plain reading of texts that say God desires the salvation or repentance of all is the correct reading, God will save all. If not, He won't, but only He decides how many. Made a strong case. He isn't a hopeful universalist but a hopeful Calvinist. Interesting. You quoted, God decides how many he will save. If that was true them he decides how many will obey (John 3:16) which would make us nothing but robots. Regardless of our sins, Jesus desires all to be saved just as his Father does. Rex, you may be right. But then that would apply to all systems holding to irresistible grace. You said, “that would apply to all systems holding to irresistible grace”, but by Jesus saying, “…you wouldn’t let me” means God will not save those who reject his Son. He said, ‘If they don’t leave me alone, I’m not ever going to be a Christian.” Three years later he changed his mind. Rex--yes, many agree with you. But then they(and you I would bet) are not Calvinists. I had a Calvinist pastor once use this illustration: any mama worth her salt doesn't want her 10 year old son to freeze to death out in a blizzard like this morning's. (We were in northern Wyoming). Some sons come easily when you call them. But even the most stubborn can be won inside by the smell of something they love cooking. Might be fudge, or moose chili, or elk pot roast, or frying donuts, but every good mama knows how to get Jr. to VOLUNTARILY come in the house if she wants him inside. God knows also how to get all His juniors to voluntarily respond to His grace. And why would God NOT destroy His creatures in the way that a literal interpretation of The Ban suggests? Look at the Ban through the image of the crucified Christ, and there . . . on the Cross, you see the God’s victory over ALL evil and sin, past, present, future. It was HIS death instead of the destruction of His created beings that COMPLETELY takes away the power of evil, sin and death could not hold Him. So He is the One who dies for us. Because of love, for we are His creatures and we needed Him to have mercy on us. “‘… Hear me, Creator of the heavens . . . may softly come unto me Your mercy.